Save yourself the agonizing trips to the Laundromat and get the Haier HLP21E. 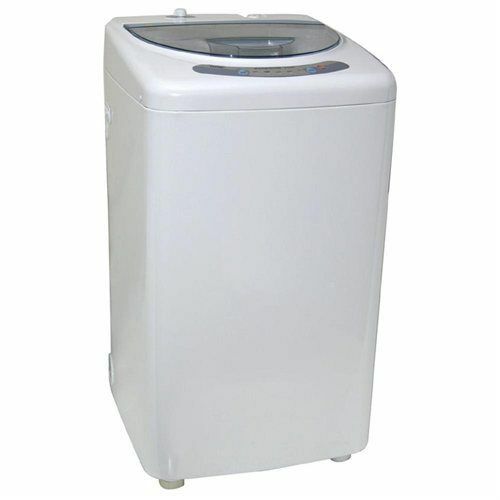 This compact Haier washing machine is a big boon if you have a space crunch. 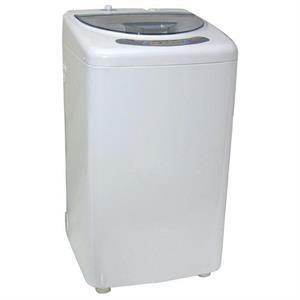 The stainless steel tub of this portable washing machine easily holds up to 6.6 lbs, enough to get rid of a lot of your dirty clothes. Get a perfect load every time you use the Haier HLP21E as it allows you to select the wash settings and water level. The sink adapter of this Haier washing machine quickly connects it to the faucet; so even if your apartment lacks laundry hook-ups, you can still have clean clothes at the push of a button. Wash your jeans or delicate lingerie equally well with the three cycles - heavy, normal and quick - featured in this portable washing machine.